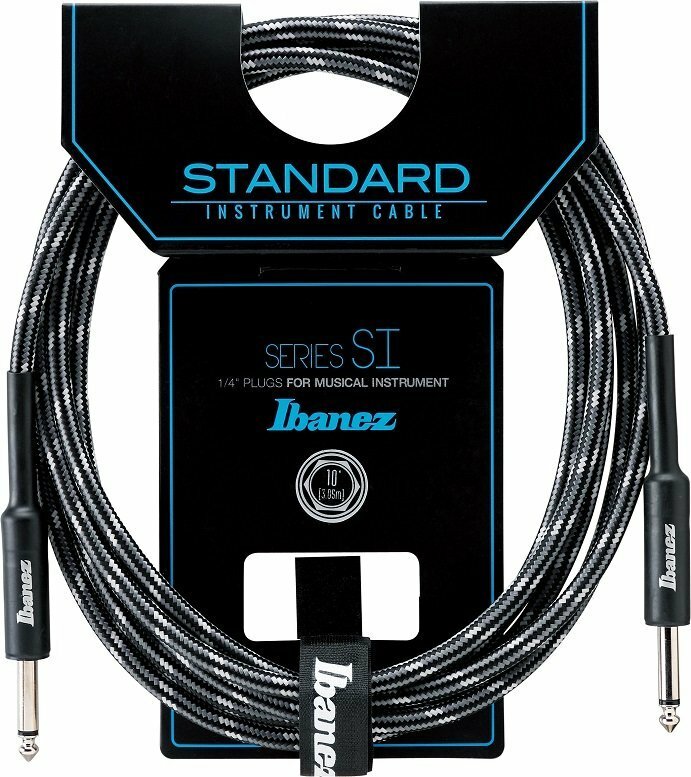 Ibanez SI series standard instrument cable with 2 straight 1/4" plugs. 20 foot (6.10m) in length. Woven grey CCT finish. Oxygen Music stocks a wide range of cables, leads and other guitar accessories including Ibanez woven SI series SI20 CCT guitar leads.